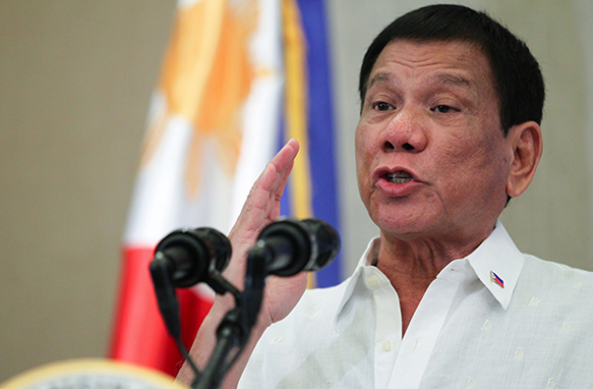 The Communist Party of the Philippines (CPP) revealed their biggest fear, President Rodrigo Roa Duterte. This fear most probably roots at the President’s mission of eradicating the communism of the Philippines that Joma Sison and Benigno Simeon “Ninoy” Aquino Jr. started. They blame the President’s implementation of the Tax Reform for Acceleration and Inclusion (TRAIN law) that caused a rise in the prices of goods, thus making an enemy out of democratic sectors. “[H]e has become isolated domestically and internationally. Thus, there is high probability that Duterte will not be able to complete his six-year term of office and will be forced out of Malacañang by way of a surge in anti-fascist protest actions or some other means,” the communists stated. “Everyday, the clamor for his ouster grows loud and reverberates across the country. In his drive to accelerate his bureaucrat capitalist plunder and establish his autocratic rule, his regime has exercised hostile moves that subjected the Filipino people to deepening crisis and oppression,” the CPP continued. On another statement, the CPP declared that the counter insurgency program, “Oplan Kapayapaan”, is but another failure. “The Filipino people clamor for an end to the military occupation of rural communities and total war policy of targeting civilians. 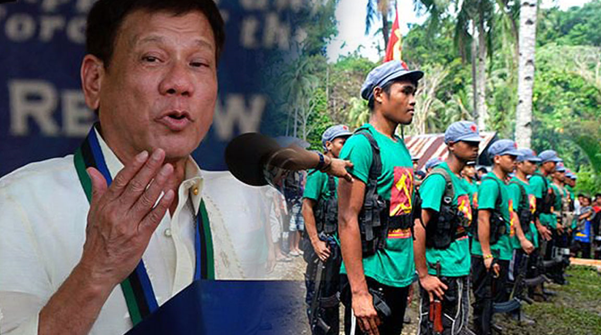 The local and international community demand respect for human rights and international humanitarian law which the AFP and PNP are trampling on with impunity under Duterte’s orders,” the CPP stated. 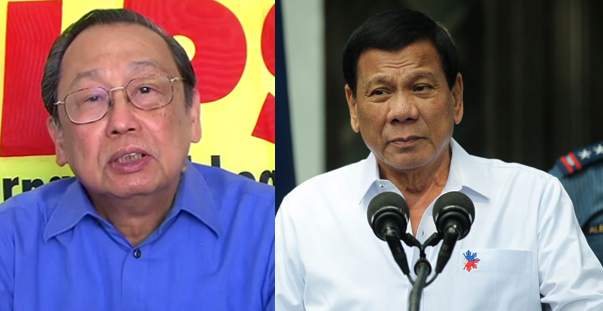 It is a known fact that peace negotiations between CPP founder Joma Sison and Duterte failed after the President rescheduled their meeting and Sison went to a tantrum because of it. Implications being that this rescheduling was disrespectful and deserves the full militant force of his “army” in return. Duterte however is confident that this war is no treat to him, and even if it is, he has no problems with it.